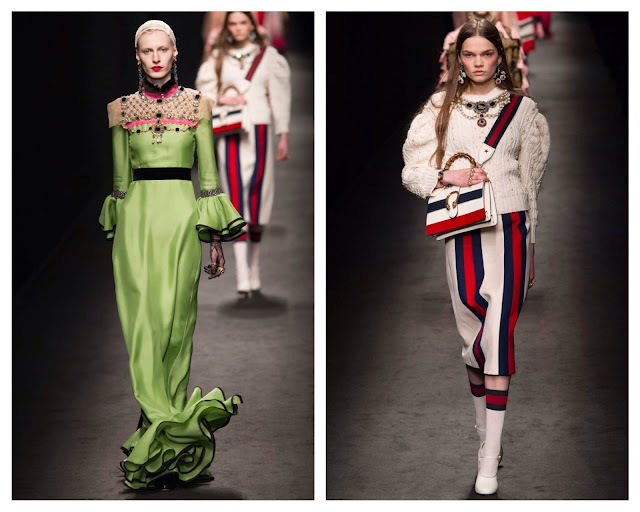 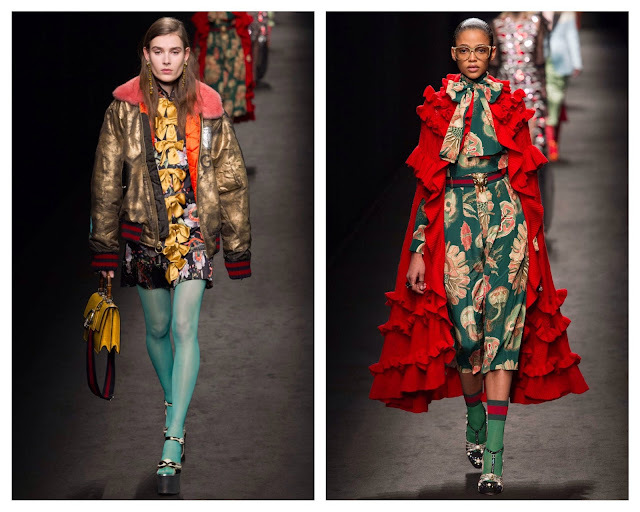 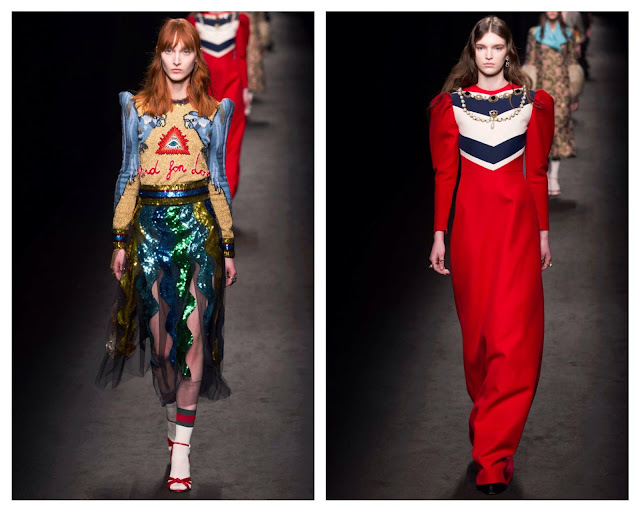 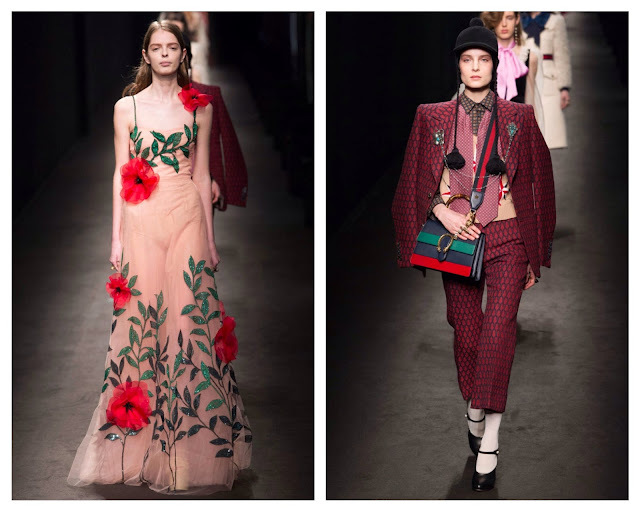 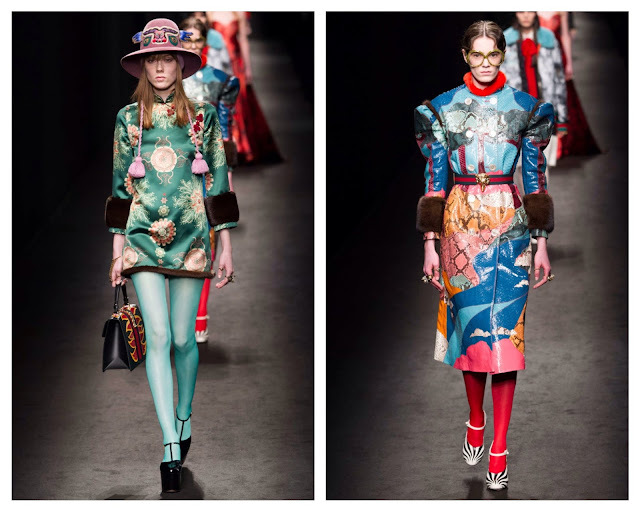 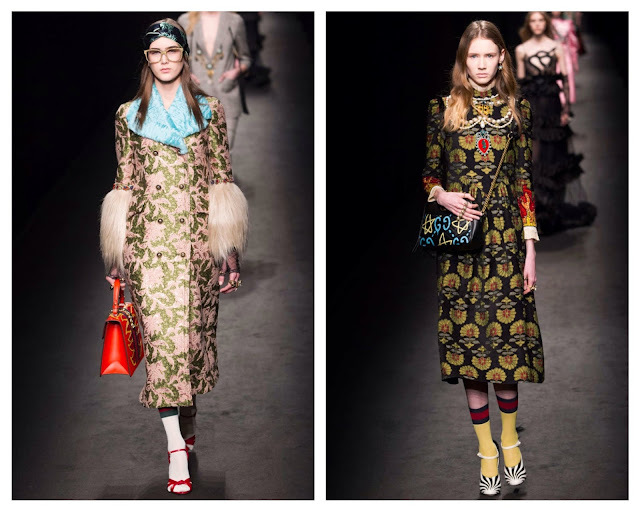 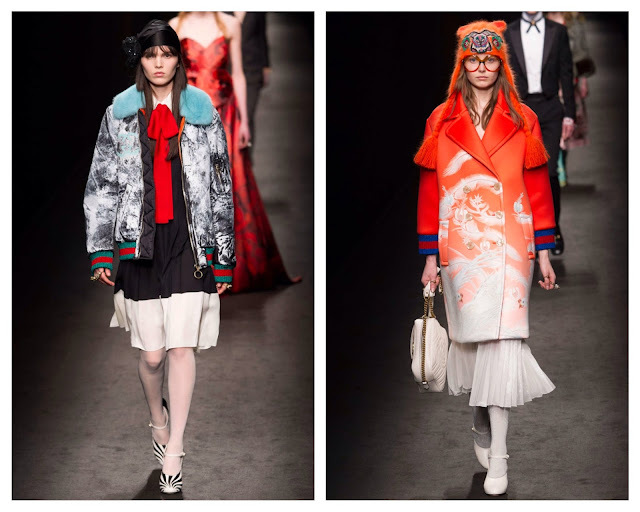 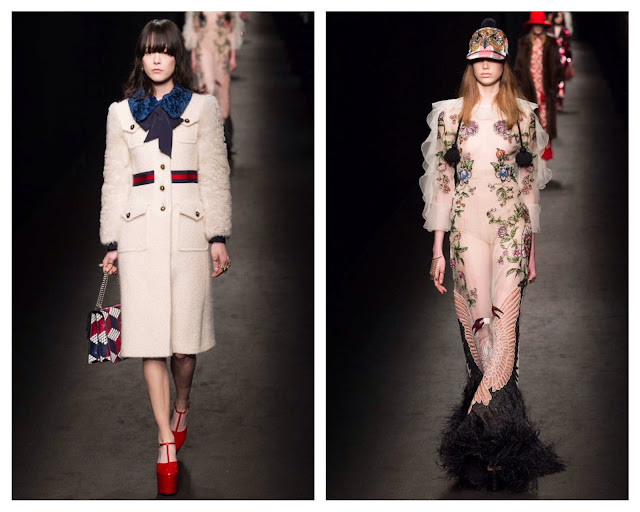 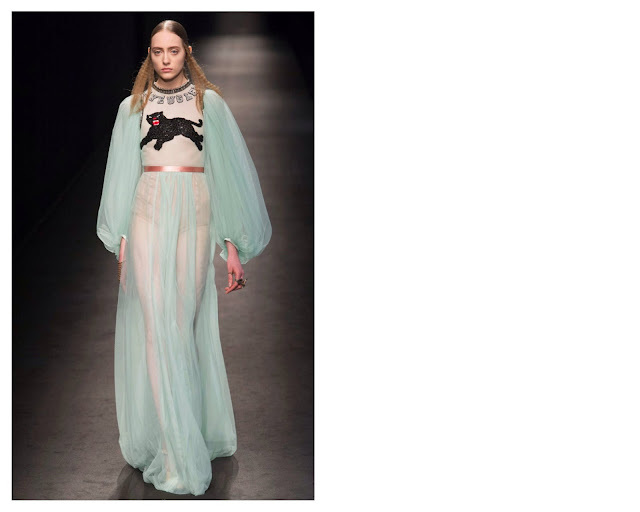 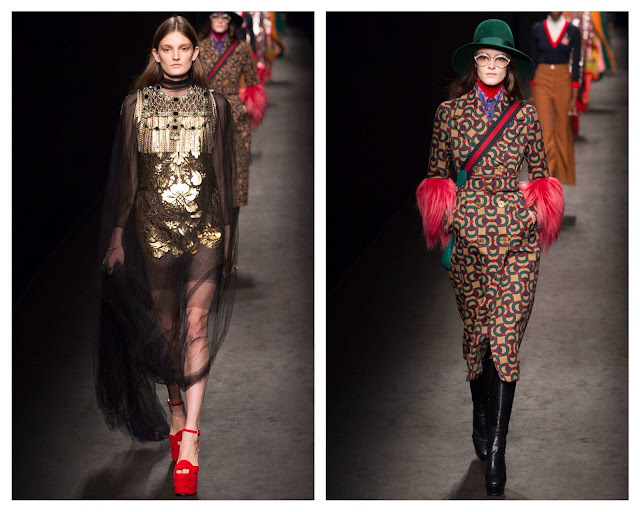 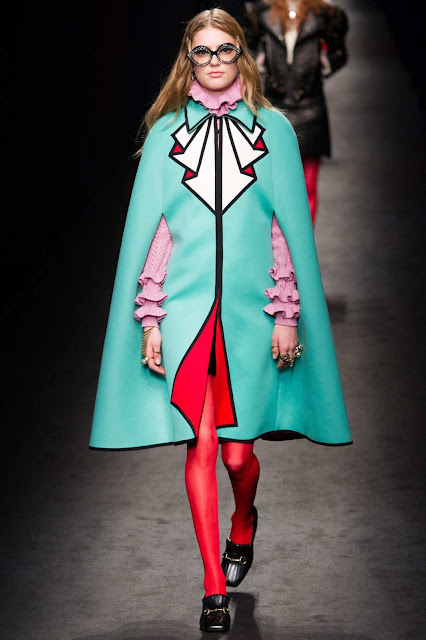 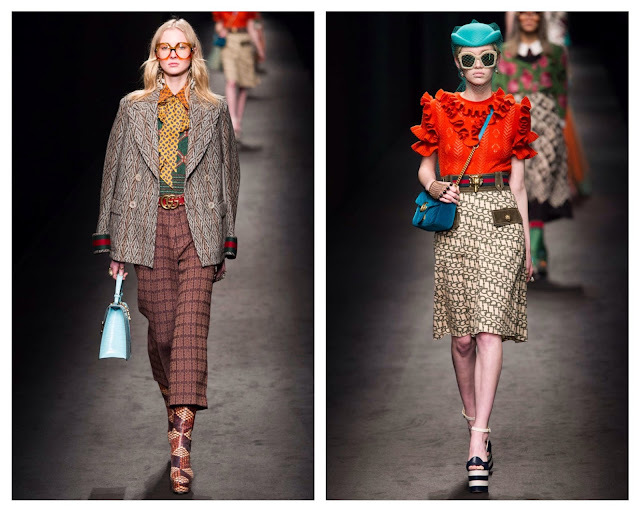 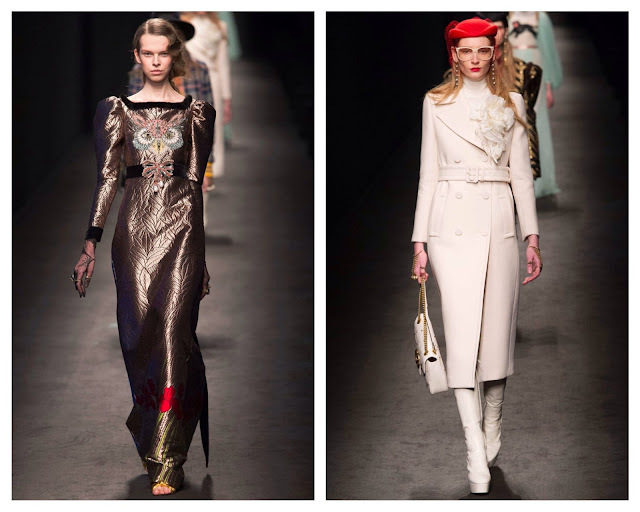 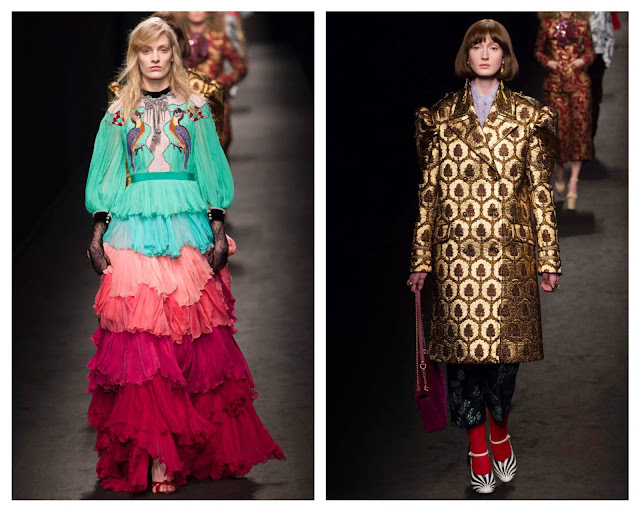 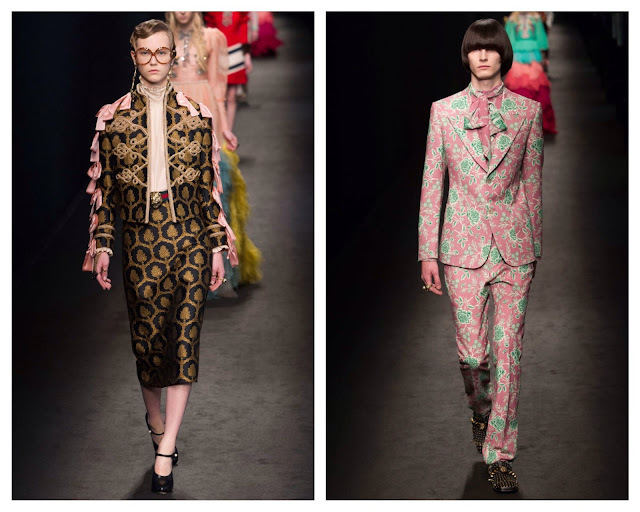 A fantastical collection from Gucci with extremely ornate 1970s-inspired looks interspersed with more sedate ones. 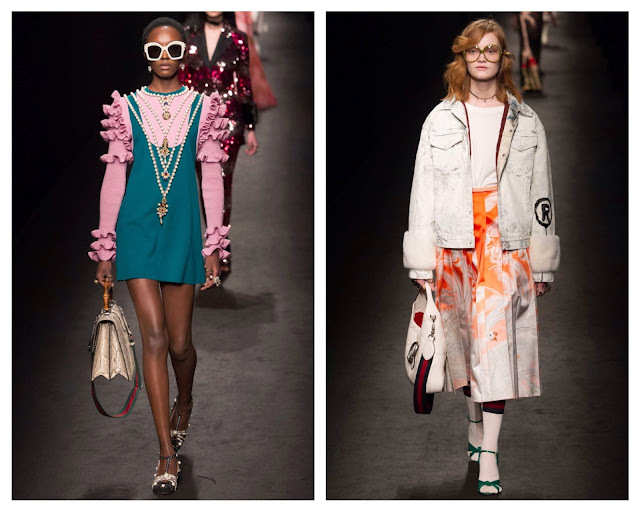 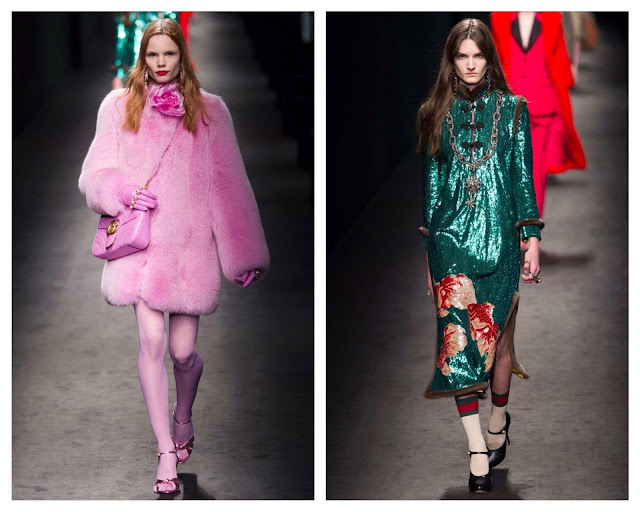 The ethos was more, and the show notes referred to the overall inspiration as an amalgamation of old Hollywood glamour and Gucci’s "nu-glam". 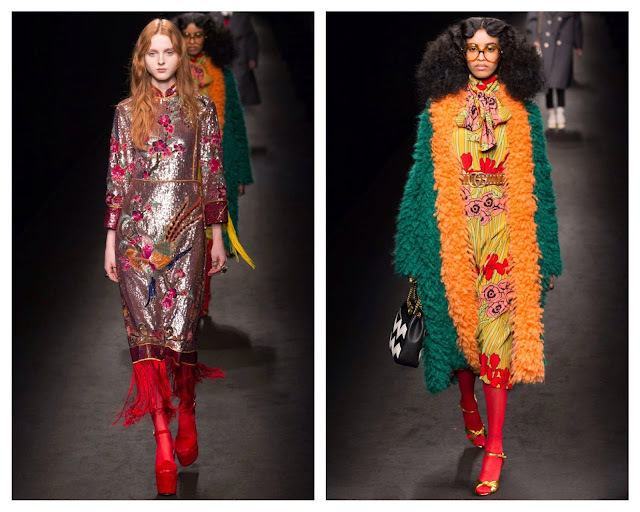 The result was a vertiginous mix of pattern, texture and colour. 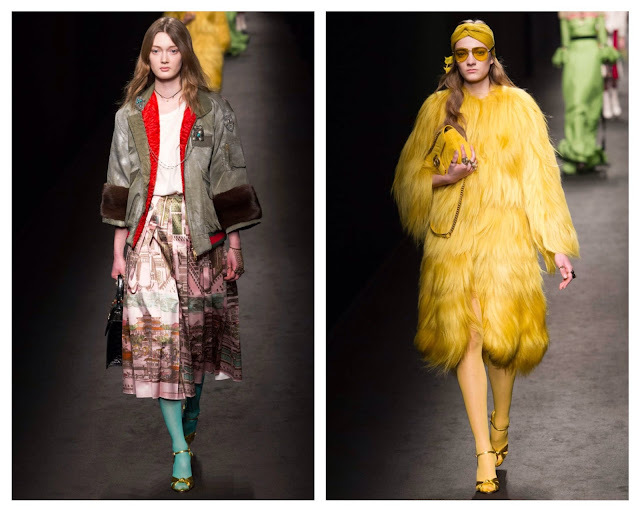 Every possible idea was included: feathers, fringing, jacquard, tulle, fur, sequins and pompons. 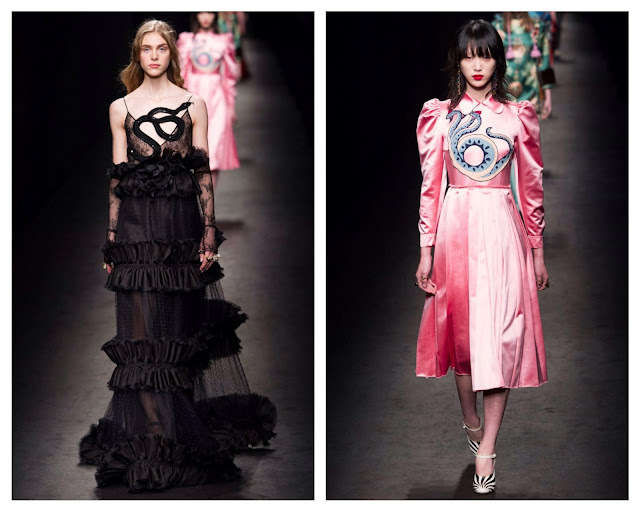 A sinuous snake wound its way through the collection as did the tiger, and accessories were key. 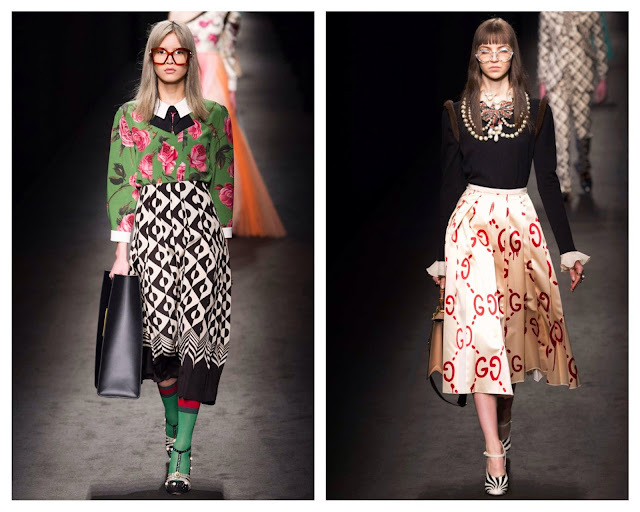 Models sported multiple, oversized rings on their fingers and pearls adorned the front of knitwear, blouses and dresses.